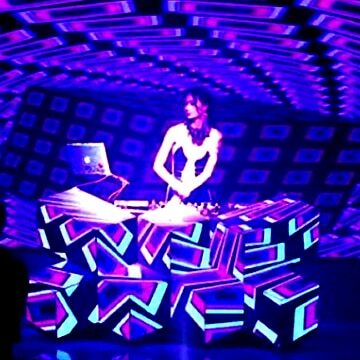 Astro Beat Circus is an out-of- this-world performance experience that combines cutting-edge interactive tech-art visuals and LED light suits, with driving DJ tracks, virtuoso instrumentalists, and amazing vocalists, along with incredible specialty acts, light spinners, dancers, and one-of- kind performers. 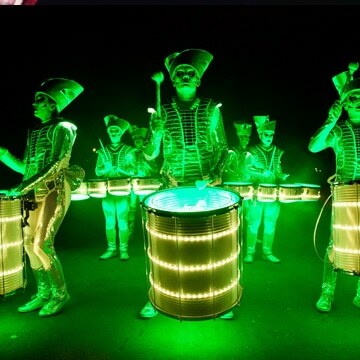 Astro Beat Circus transforms any venue and event into an astonishing visual and musical spectacle, uniquely tailored to create an unforgettable experience for a wide range of audiences. 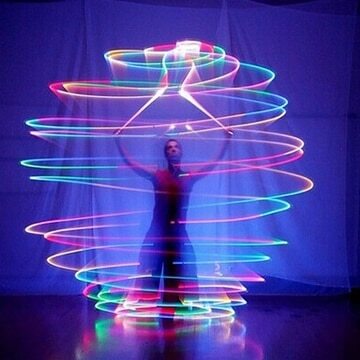 More Tech-Art Installations: With advanced planning, we offer even more WOW-factor Tech-Art installations being provided by ZOWNOW. 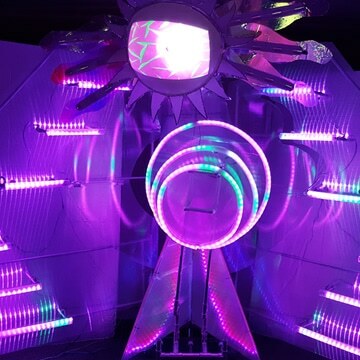 This can enable a multiday festival, convention, event to become an expansive interactive landscape of WOW and amazement for attendees. 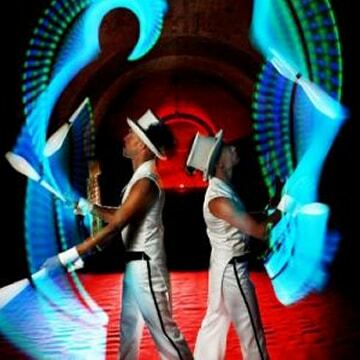 Tailoring to the tastes of any audience, Astro Beat Circus combines DJs and musicians to raise the entertainment levels and further the experience of those attending. 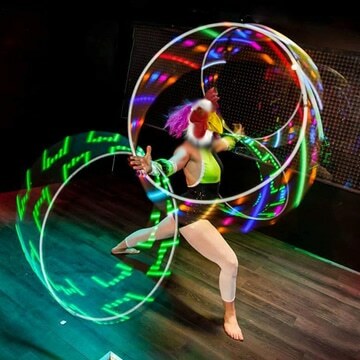 There is a wide range of talent available to fit the occasion and budget, drawing from Local, National, and International artists to fill the dance floor. 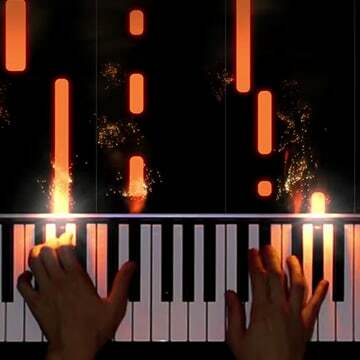 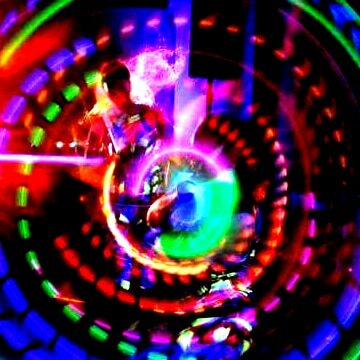 Live-PA “EDM-JAM” showcases extraordinary virtuosity, featuring world-renown instrumentalists and singers. 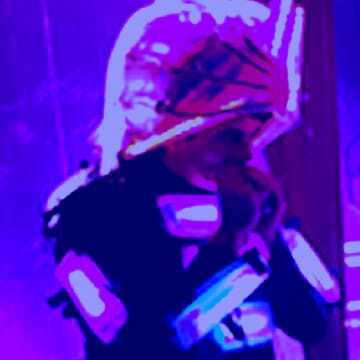 The virtuoso Electric Harmonica Player and CreativeDirector of Astro Beat. 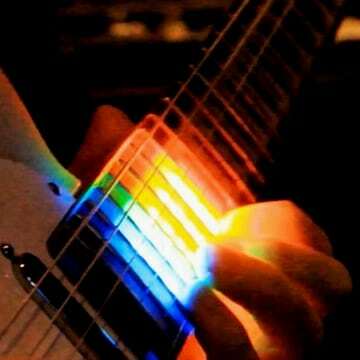 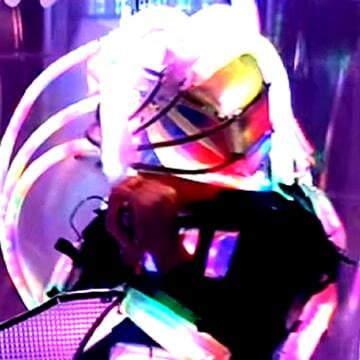 Hyper Harp performs with LED Suit and helmet, along with the option of Mobile wings. 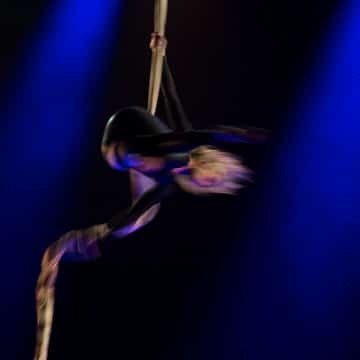 Other Artists include: Drummers/percussionists, guitarists, violinists, etc..
Astro Beat Circus offers amazing singers who join the Party, captivating the audiences. 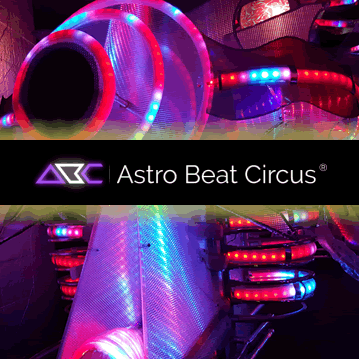 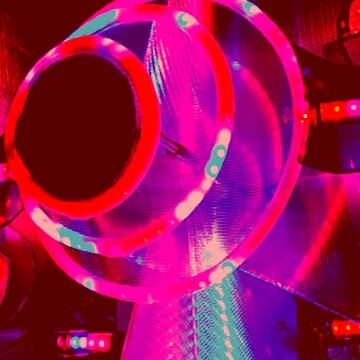 New singers are added to bring a fresh line-up to on-going Astro Beat Circus Parties. 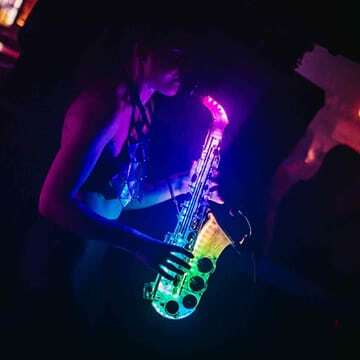 In addition to the musicians and singers, the Party brings an assortment of amazing performing artists who can create a true extravaganza with a multi-act nonstop show. 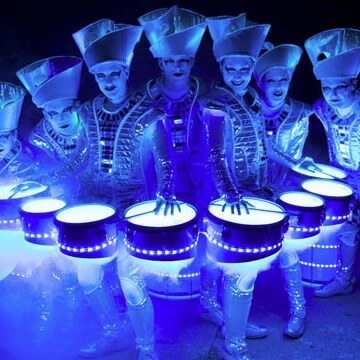 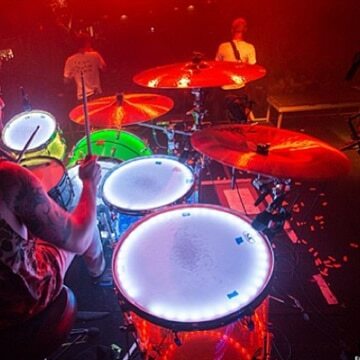 Completely module and customizable, Astro Beat embellishes the performers with its Tech-Art costuming to take what is already an outstanding performance to a whole other level of WOW! 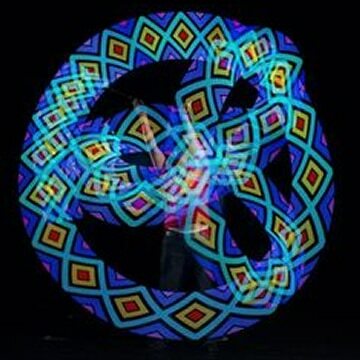 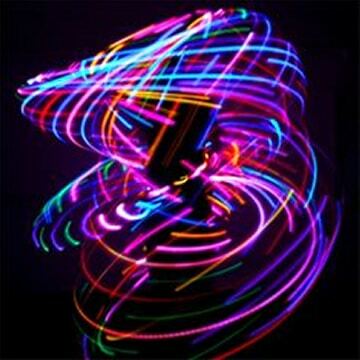 Our LED Spinners captivate and mesmerize the audience with their synchronized movements and animations to the music and the other elements of the Astro Beat Circus stage show. 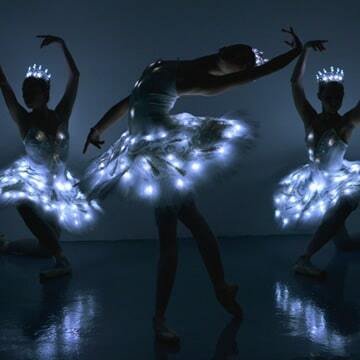 Our Dancers wear brilliant Tech-Art costumes that expand the entire canvas with their captivating routines. 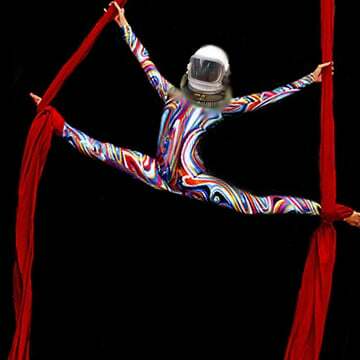 Ranging from silks, acrobatics, contortions, juggling, and other memorizing acts, Astro Beat offers further exciting entertainment options, all enhanced by the incorporation of our advanced Tech-Art costuming. 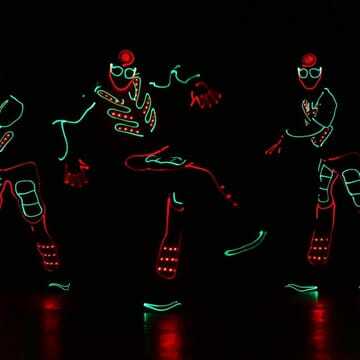 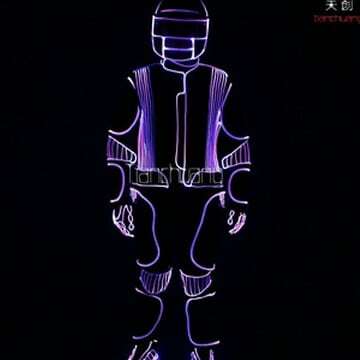 In keeping with Astro Beat’s spectacular visuals, we offer some of most unique acts in the world to join the Party when available and budget allows, such as the Flying Guitarist, Laserman, Kryoman, and others.